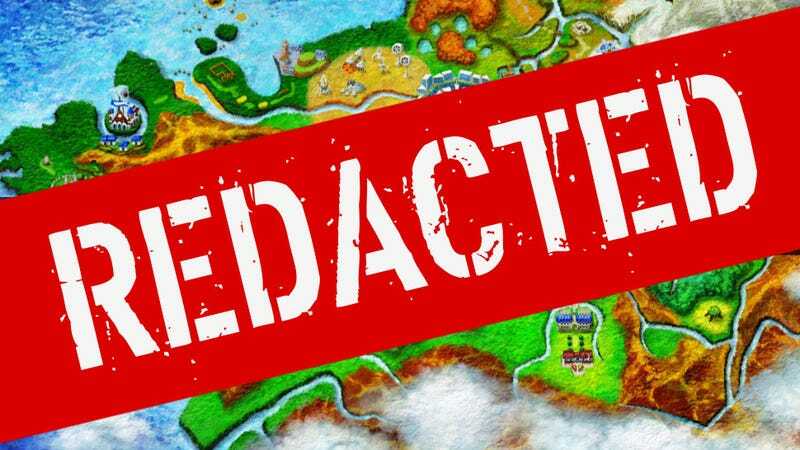 A bevy of alleged Pokemon X & Y images and videos are currently floating around the web right now, but one leaker in particular caught the attention of a lot of folk on the internet...and Nintendo. The images we posted earlier today, came from Instagram user kosthedin—but by the time of publication, all pictures had disappeared from his account. The only remaining image at the time that seemed to acknowledge the leaks was a scribble that said "Got Nintendo'd." Two hours ago, he published another picture with the description, "I no longer have the copy of PokemonX so I can't leak anymore details than what I already have." He then followed that post up with a more detailed explanation of what allegedly occurred. Nintendo flew a representative out this afternoon and went to the local game shop where I picked up X. The Nintendo rep had said heads were rolling at Nintendo because of the leaks. I gave up my copy of the game to try and help keep the local game shop out of trouble and to keep my friend from losing his job. Last month, when I saw Pokemon X & Y at Nintendo's offices, a representative told me that the point of releasing worldwide at the same time was to help maintain some of the game's mystique. Typically, the games would release in Japan first, and by the time the rest of the world got the games, many of the secrets would be out in the open, a Google search away. Nintendo was hoping to delay that inevitability a bit with this release, but these leaks have occurred over a week before the official release. We have contacted both Nintendo and Kosthedin about the incident, and will update once we hear back.